I purchased this lighter for the look and power of a torch lighter. I smoke cigars on occasion and that is mainly what I use this for. The plunge cutter on the bottom works well and can be depth adjusted also. The lighter works perfectly the flame can be adjusted I’ve refilled twice already. 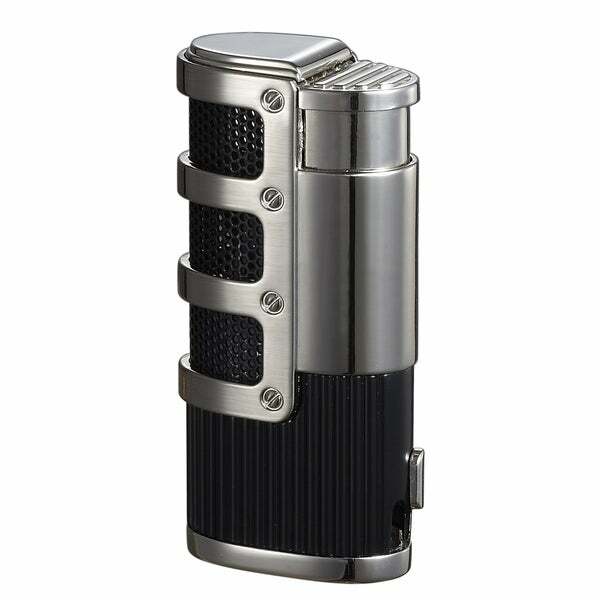 nice lighter to light your cigar, for sure that's the one. Nice flames for lightning cigars evenly. Heavy feel imparts a quality touch and thus far has lit on the first click every time. Filled with gas easily. Hoping it wears for the long term. Well I cant write a truly accurate review because they sent me a totally different lighter. I bought this triple flame and they sent me a small different single flame. Didnt feel like sending it back so I just keep it. works great! I really should buy 1 for each room. I liked my purchase so much I bought 4 more as gifts to give away. Great brand this will be the second one I bought from overstock! !